“I first met Jackie Williams when she was a student at the Royal Academy Schools in the mid eighties. Already I could see she was following her own particular vision which had nothing to do with being consciously innovative or modern. Already as a student she showed a toughness and determination to swim against the tide if necessary, for she would not be drawn along by any current of fashion. Jackie’s work is a celebration of nature, of beauty, and of light, and being celebratory she touches cords in her followers and reveals to them a world, her world, to which they can respond. Not for Jackie the heavy introspection of much of the work the critics seem to extol today. 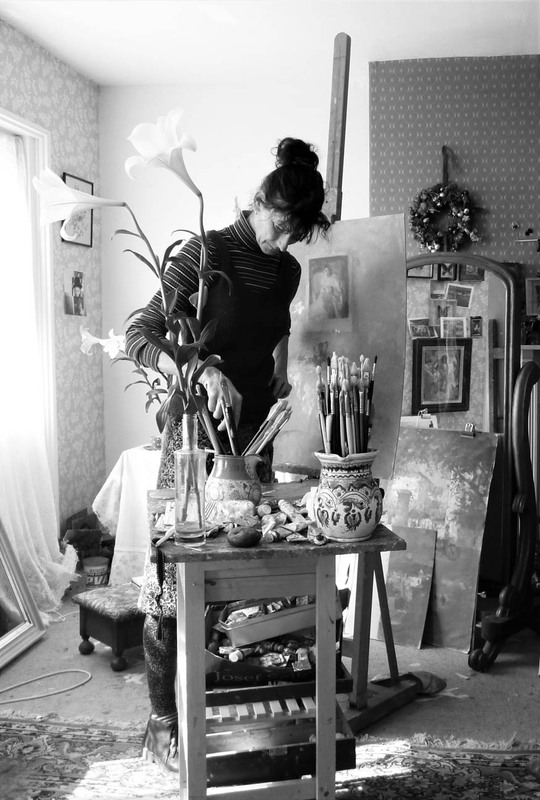 Her work is in the main-stream tradition of British painting in the twentieth century, from the Camden Town and Euston Road Schools through New English painters like Sickert and Steer; a worthy follower of that greatest of English women painters, Gwen John. Her art is based on a personal vision expressed through sound craft, fine drawing, a wonderful sense of tonal pitch and a highly developed sense of colour. – Ken Howard R. A.